Thursday we’re talking about a new film called Running Wild. 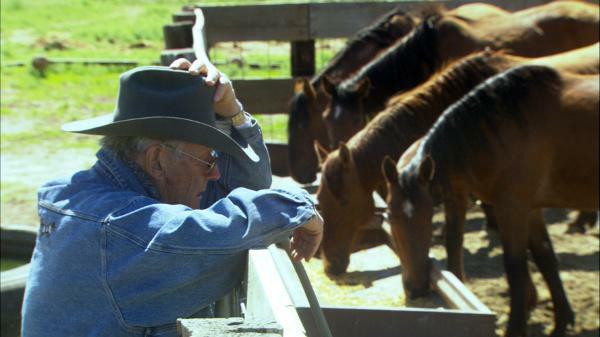 It profiles the writer, cowboy and conservationist Dayton Hyde. Hyde was born in Michigan during the Great Depression, and at the age of 13, lured by the glory of wild horses, he ran away to his uncle’s ranch in Oregon, even though he’d never ridden a horse. He went on to graduate from UC Berkeley, start a ranching operation, write dozens of books, and create a sanctuary for wild mustangs. The film’s director, Suzanne Mitchell, is among our guests, and she’ll help tell the story of Hyde’s ambitious and colorful life. Suzanne Mitchell's film Running Wild: The Life of Dayton O. Hyde is screening for free on Thursday, October 24, at 7 p.m. at the Main Downtown library in Salt Lake City. The film will show simultaneously in Moab at Star Hall. Mitchell and soundtrack composer Steve Poltz will be on-hand in Salt Lake to perform some music and to do a Q&A with Doug Fabrizio after the screening, which is a partnership of the Utah Film Center and the Utah Humanities Book Festival. Follow this link for more details about the screening in Salt Lake city. This link has more details about the Moab screening. Suzanne Mitchell has produced numerous long and short form television series and specials as well as feature length documentaries. She has won two Emmys, two Gracie Awards and an Omni Intermedia Award. Running Wild: The Life of Dayton O. Hyde is her directorial debut and was selected to premiere at the 2013 Slamdance Film Festival.